Do I need to buy a breast pump if I am breastfeeding? Not necessarily. If you need to be separated from your baby often (such as when working), then you should consider investing in a good electric pump. 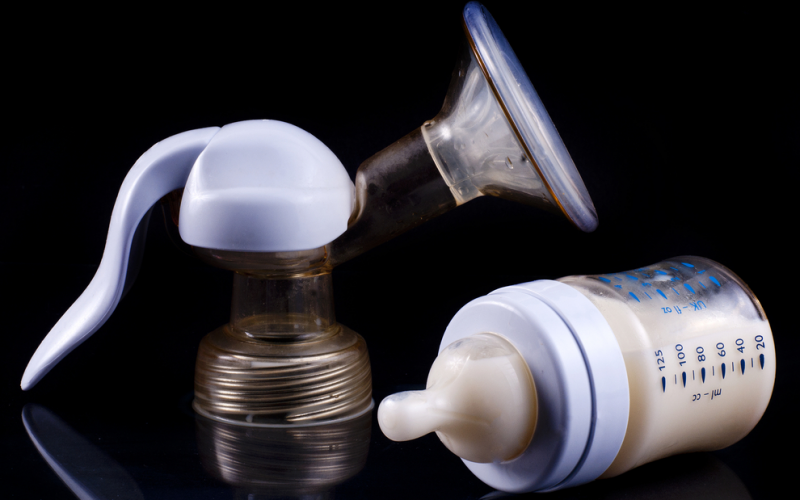 Many women think a pump is mandatory in order to breastfeed, but this is often not the case. Certainly if you plan to return to work and breastfeed, a quality, double electric pump will be your best friend. Another situation where a pump can come in handy is if you have delivered prematurely or are having milk supply issues. For the occasional separation from baby, a manual hand pump may be all that you need, which is nice since electric pumps can be expensive! The good news is that many breast pumps are now being covered under the Affordable Healthcare Act. If you think you might need an electric pump, it may be worth asking your midwife or doctor for a prescription for one before you deliver so you can ensure you have squared away any insurance paperwork before your baby arrives. Every insurance company handles this differently and covers different pumps, so you’ll have to contact yours to see what you are eligible for.